I grow many varieties of sedums, like the famous 'Autumn Joy', and enjoy them for their artistic qualities. I have both variegated and plain versions for the bees to visit. This beautiful sedum originally came here to my garden as a very small specimen, just enough to fill a trowel. Over the years the original plant has been broken up and divided many times. The changing colours in Autumn always surprise me. In full colour it's warm red, with a touch of bricky brown. Within a week the brown tones become more prominent. The offspring of the original plant are all extremely happily installed in various borders. They all start out hopeful, standing tall, and then all fall around, squashing onto neighbours. This is a bad sedum habit. 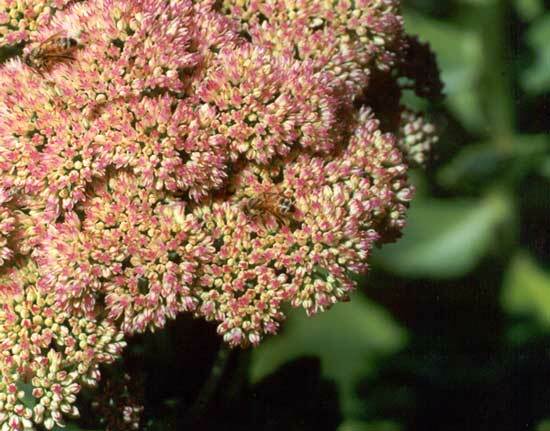 Of course these sedums are firm favourites with the local bee population. One particularly handsome plant sits right outside my glass-house door. I run the bee gauntlet whenever I make late summer or autumn visits to the glass-house. Then the flowers turn into dried seed-heads and I have unrestricted access once again. 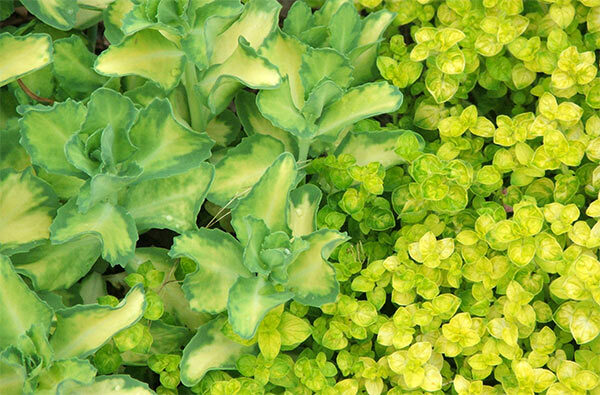 This sedum also gets mentioned as a foliage plant - with photographs of the seed-heads in different colour stages of their life.